In 1995, Luke McShane played in the British Championship at the age of 11. In 1995, John Grefe won the California State championship. In 1995, Peter Svidler won the Russian chess championship. In 1995, Walter Shipman won the Manhattan Chess Club Championship. In 1995, Josh Waitzkin won the Marshall Chess Club championship. In 1995, the Armed Forces championship went to an open format. It was supported by the US Chess Center and the American Chess Foundation. John Hansen and Brian Richardson tied for 1st in the 36th US Armed Forces championship. Army won the team championship. 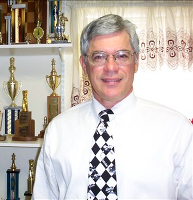 In 1995, Robert Smeltzer of Dallas played 2,266 USCF-rated games in one year, the most ever. In 1995, Jared Moore died. He was born in 1893 and lived to the age of 101. He was the oldest player to play correspondence chess. He was active in postal chess until he was 100 years old. In January 1995, the top rated players were Kasparov at 2805, Karpov at 2765, Salov at 2715, Anand at 2715, Kramnik at 2715, Shirov at 2710, and Kamsky at 2710. On January 7, 1995, Honorary Emeritus GM (1985) Harry Golombek (1911-1995) died in Lambeth, London at the age of 83. On March 25, 1995, Sir Stuart Milner-Barry, English master and World War II codebreaker, died. On April 5, 1995, Nicolaas Cortlever, Dutch International Master, died. On May 30, 1995, the 8th world computer chess championship was held in Hong Kong. It was won by Fritz in a playoff over Star Socrates. In June 1995, Gilberto Rodriquez-Orejuela was arrested in Columbia for illegal importation of 200 metric tons of cocaine over the past 10 years. He was known as "the chess player." In August 1995, the 96th US Open was held in Concord. The winner was Alex Yermolinsky. On August 22, 1995, Gilles Andruet (1958-1995), French Champion and International Master, was murdered in Paris over gambling debts. He was found dead in a plastic bag. On August 30, 1995, GM (1962) Lev Polugaevsky (1934-1995) died of a brain tumor in Paris at the age of 60. He is buried at the Montparnasse Cemetery in Paris. On September 11, 1995, New York City Mayor Rudolph Giuliani played the move 1.c4 to start the World Chess Championship match between Garry Kasparov and Vishy Anand. On October 10, 1995, Kasparov defeated Anand in New York to win the PCA World Chess Championship. The match was played at the south tower of the World Trade Center. It was played on the 107th-floor observation deck, one floor below the top level. Kasparov won with 4 wins, 1 loss, and 13 draws. The prize money was $1,350,000. On October 15, 1995, the 13th world microcomputer chess championship was held in Paderborn, Germany. It was won by MChess Pro 5.0 (programmed by Marty Hirsch) after a playoff with Chess Genius (programmed by Richard Lang). On October 31, 1995, Mario Napolitano, Italian master and correspondence chess player, died. In November 1995, the 6th NATO championship was held in Gausdal, Norway. The Netherlands took 1st place, followed by Germany and Norway. The individual winner was FM Harmen Jonkman of The Netherlands. Top American was J.L. Silva. In November 1995, Kasparov beat Fritz 4 in London with a win and a draw. He then played Genius 3.0 in Cologne and won the match with one win and one draw. In November 1995, the 31st American Open, held in Santa Monica, was won by Igor Ivanov. On November 24, 1995, Florencio Campomanes stepped down as FIDE President. Krisan Iljumzhinov, age 33, was elected the new FIDE President. In November 1995, Pablo Moran (1926-1995), chess author, died in Spain. On December 4, 1995, Patrick Wolfe won the US Chess Championship on tie-break over De Firmian and A. Ivanov. The 6th Harvard Cup Human Versus Computer chess challenge was held in New York in December, 1995. The Grandmasters won with a score of 23.5 to the computers' 12.5 score. The computers scored 35%, a slight decrease in performance from 1994. Joel Benjamin and Michael Rohde had the best human scores with 4.5 out of 6. The best machine was Virtual Chess (I-Motion Interactive) with 3.5 out of 6. On December 15, 1995, Dr. Miroslav Katetov, Czech mathematician and former Prague chess champion, died. On December 27, 1995, Genrikh Kasparian, Armenian chess player and leading chess problem composer, died.